Eat: Los Angeles not only summarizes Godzilla’s lifelong objective, it’s also the title of a terrific book. It is a collaboration of several southern California food critics who seem to have sampled every eating establishment in the metropolitan area. The entries are organized by geographic sections of the city, so if you’re in Torrance, for example, and have a hankerin’ for Japanese food, you don’t have to wade through notes on sushi bars in Burbank. The listings are relatively brief — they have to be, since there are hundreds of them — but they give a clear idea of what to expect in terms of not only specialties of the house, but cost and ambiance as well. There are also thumb-tabbed sections in the back that list establishments by category; e.g., Bakeries + Sweets, Wine + Spirits. There’s even a section called Food That’s Fast, as distinct from “fast food”. 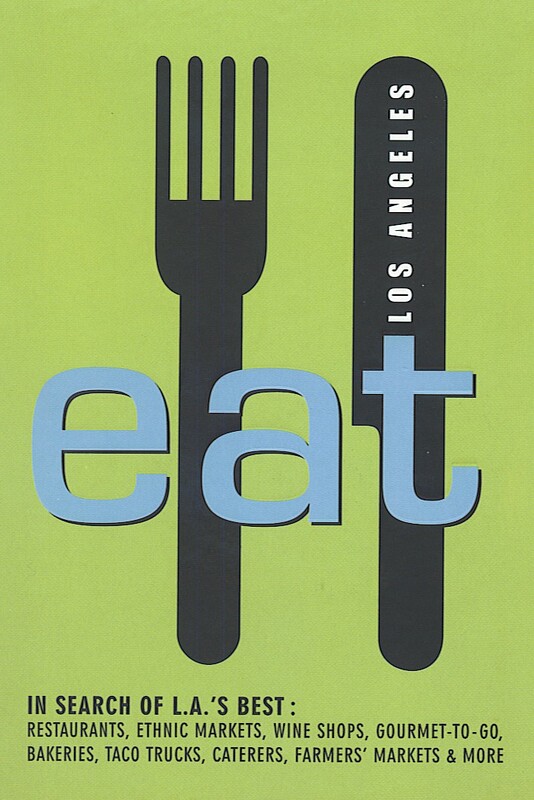 Eat: Los Angeles is one of several titles published by Prospect Park Books, including a series of “hometown” books: Hometown Pasadena, Hometown Santa Monica, Hometown Santa Barbara. They are the brainchildren of Colleen Dunn Bates, a prolific writer and editor; in the time it takes me to work up a blog post, she’s halfway through her next book. This entry was posted in Dining and tagged Eat: Los Angeles. Bookmark the permalink.